The is the House Chamber where our Members of Congress debate and pass laws. I share this to think about Capitol Hill and our government, and to visualize the people who sit in those seats and vote on legislation. Monday, February 25th and Tuesday, February 26th is this year's annual NFXF Advocacy Day. As of January 2019, about twenty percent of the House members are new which means they do not know you and they do not know your story. Further important to consider is the National Institutes of Health. Yes, that NIH-- the one under the Department of Human Health and Services which is devoted to medical research. In addition we all know Congress established the Centers for Disease Control and therefore they influence regulation of prevention, health promotion and preparedness. What if you were offered the opportunity to help protect NIH and CDC funding? Any person with an intellectual and/or developmental disability is deserving of quality of life. The opportunity to help restore DDD funding, and push for policies that will provide such opportunity, is crucial for this population and they need our voices to help. 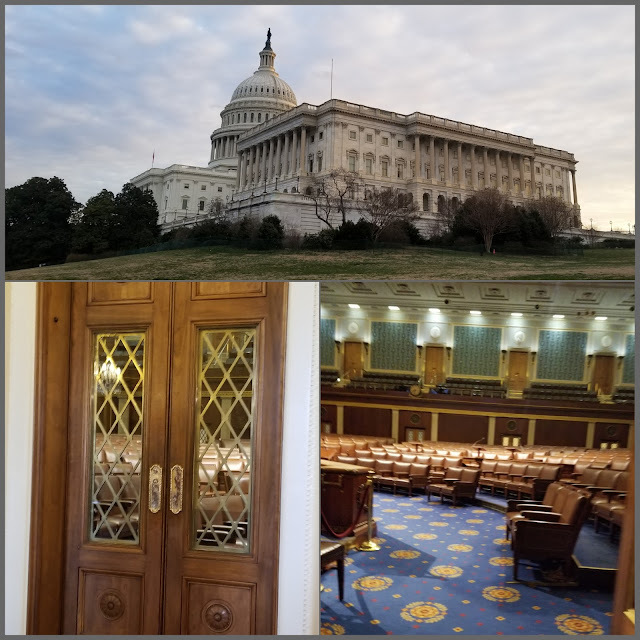 When I experienced my first Advocacy Day many years before I became a CSN volunteer with the NFXF (and even more years before I became NJ Chapter Leader), I did not have beginner's luck. My first year on Capitol Hill I was one of only two constituents from NJ and I seriously felt like I didn't know what the hell I was doing. However... I also learned just how crucial my voice really is and thank goodness the experience only motivated me to return. In the years that followed I witnessed firsthand that NJ typically had quite the show of support! With closer to an average of at least ten NJ advocates, year after year we were a strong group among the 150 or so from around the country. All of us there for a common cause. Unfortunately this year, so far NFXF AD registration from NJ has dramatically declined. Some families who were previously very involved happened to move out of state... other households (besides mine) have their own extenuating circumstances... and so forth. But one thing that hasn't changed--- we are all anxious about ensuring our loved ones have the best future possible. Every year that I/we have been to DC, or members of my family have participated in Advocacy Day, my favorite part is when I explain to Hayden why. It's a bit much for me to try and tell him that we join others from around the nation to increase the probability of legal protections being in favor of our children, while also helping to improve the lives of others with intellectual and/or developmental disabilities. So instead I simply say, "We talk to people to help make sure you will be able to get what you need to have a safe and happy life." When constituents show up in the offices of our legislators they are the voices from home that are the loudest. Thankfully (to say the least) the NFXF offers us this opportunity to be heard. You can register here and reserve your room via this link. The discounted room block is guaranteed until Monday February 4th.